When you’re a female traveller, questions often arise that don’t apply to our fellow male travellers. We’ve got a few more things to think about, especially when doing outdoor adventures. The ladies at Nature Travels answer some of the most common questions from our female guests. Is the accommodation mixed on tour? 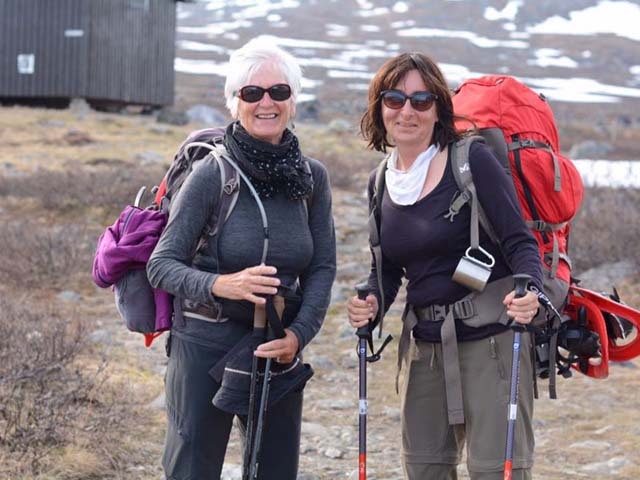 Depending on which type of tour you choose, overnight accommodation will often be shared (for example on dog sledding tours, hiking tours, ski touring trips) and in these cases the accommodation will be mixed gender. For some tours, such as Ice Skating on Natural Ice, it can be possible to have your own room (for a supplement). Many tours will feature shared and mixed sleeping accommodation. Photo: Jayne Dent Nature Travels. Who is going to be on my tour? 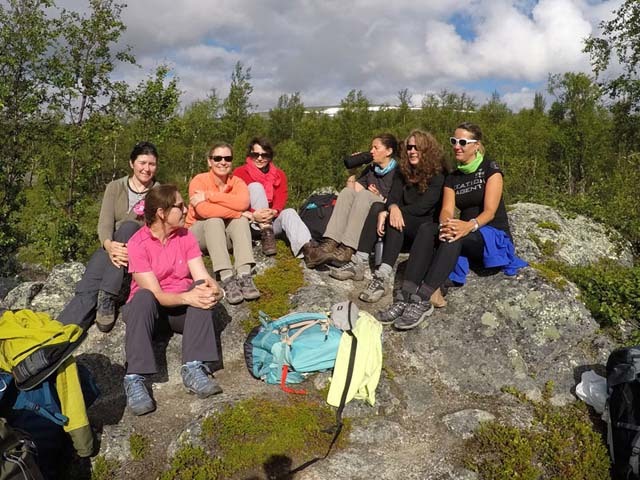 If you’ve booked a guided tour and are part of a group, the tours are open to participants from all over the world and a typical group may include guests travelling with Nature Travels as well as participants from elsewhere. Typically, the tours are popular both with solo travellers and guests travelling with one or more companions, and guests may be a mix of nationalities such as UK, mainland European and participants from further afield such as Australia and the US. 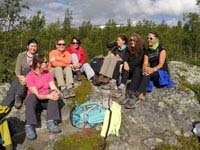 Hiking in Swedish Lapland. Photo: Liesl Claus. Groups are made up of a wide range of people (different ages, genders, nationalities etc.) but you’ve all booked the same tour so you’ll potentially have similar interests. You may of course find that there are some members of the group with whom you get on better than others. There may well be solo travellers, couples, friends and families depending on your tour but not everyone will know each other already! Kayaking is a great activity! Photo: Eline vander Meiren. How do I go about changing? There will always be people who are quite happy changing in front of anyone but others (usually us Brits) would always prefer to change a little more privately. 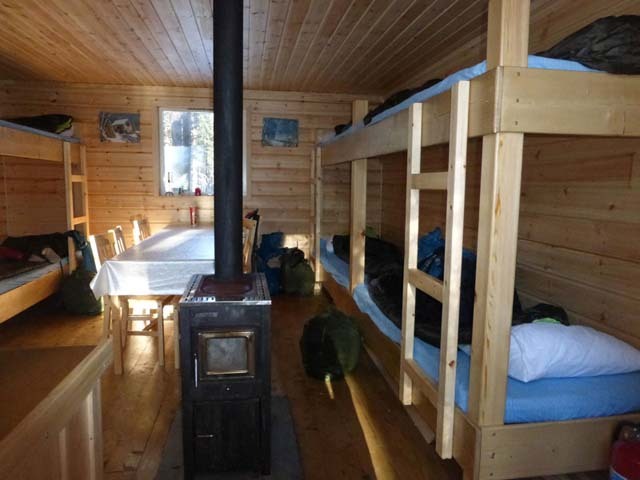 The different accommodations have varying layouts: some overnight cabins have multiple rooms, so with a little planning, it can be possible to arrange that each person gets to change in the sleeping room(s) whilst the rest of the group are in the other room. Some cabins are just one room. In this case, if you would like some privacy, you may wish to change in your sleeping bag. However, when changing you will usually find that everyone is focused on getting their own clothes on as quickly as possible rather than on what everyone else is doing! 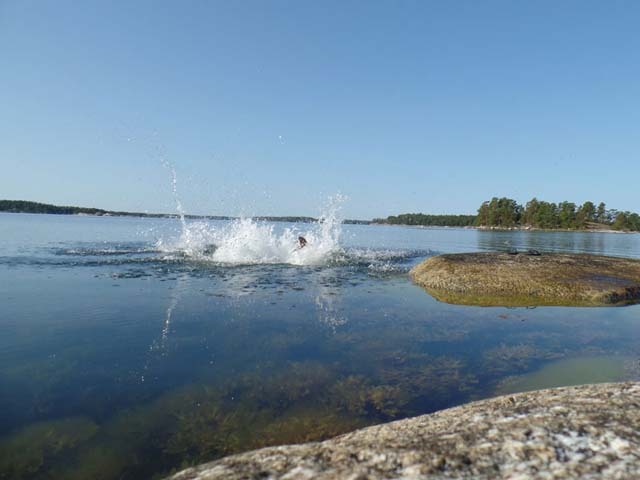 The lakes and archipelago waters of the Nordic countries are wonderful for swimming in summer. Photo: Lise Fritz. How do I have a wash? In the summer, when wild camping on a canoe or kayak tour you can get clean by washing in a river, lake or the sea (we would always recommend taking biodegradable washing products). The water in most lakes and rivers in the Nordic countries is very clean. If the idea of washing in cold water (e.g. if you are travelling at the start or end of the season) fills you with dread, you can always heat a pan of river/sea water on your stove so you have some warm water to clean yourself or to wash your face etc. 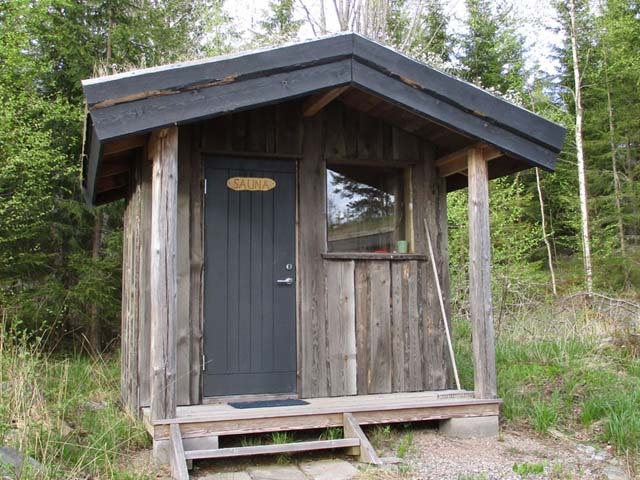 Sauna is a possibility on many of the experiences we offer and, in wintertime when swimming is not an option, provides an opportunity to wash on wilderness tours. Photo: Niki Bates Nature Travels. 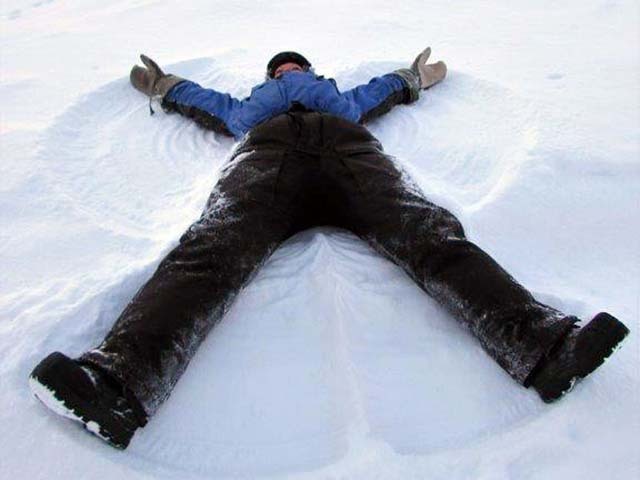 While out on the trail for hiking trips or winter tours where lakes and rivers are less accessible (or frozen ! 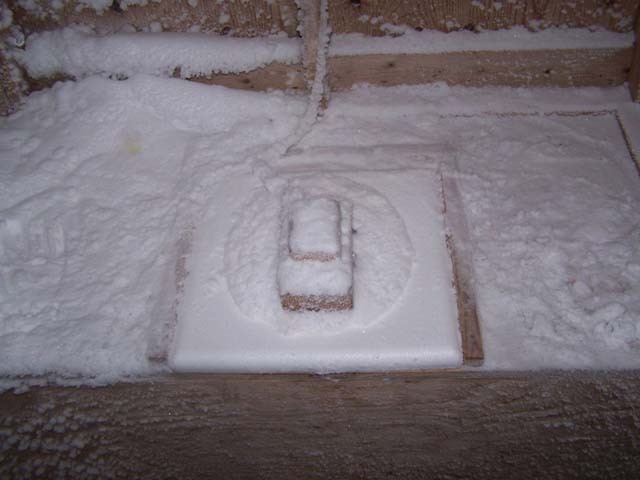 ), saunas (available at some overnight locations) provide an opportunity to wash with hot water. The saunas heat a tank of hot water which can be used for washing after enjoying the sauna itself. 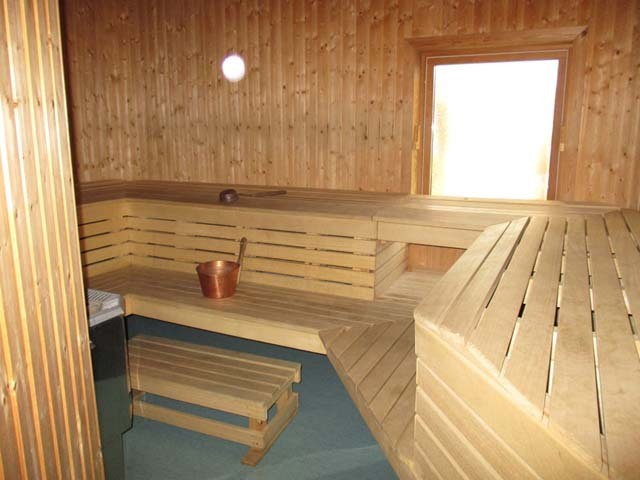 A typical sauna interior. Photo: Niki Bates Nature Travels. Everyone is different and whilst some people are happy to go into the sauna unclothed this does not mean that everyone has to or is expected to. There are plenty of people who prefer to go into the sauna in a bathing suit and by talking with the rest of your group it should an be possible to come to an arrangement that suits everyone e.g. separate female and male time slots or for you to have time to use the sauna on your own. If you prefer not to use the sauna at all, you can just take some of the hot water in a bucket or bowl to wash with. This is where our fellow male travellers have a bit of an advantage! Basically, for the majority of our outdoors adventure, you shouldn’t be shy about jumping behind a bush when nature calls. 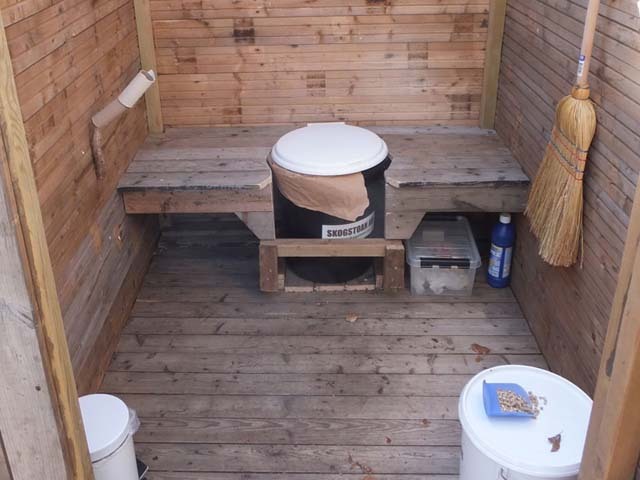 Outdoor loos can be a lot nicer than you think! Photo: Nature Travels. 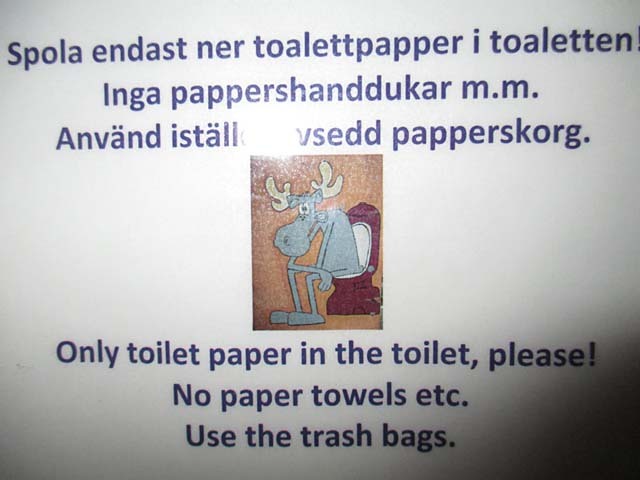 In the Nordic countries, dry outside wilderness toilets are very common and an important part of their outdoor life. You’ll probably come across one or two on any of our tours. For more information on this style of toilet, please see our blog article here. ….though sometimes you just have to grin and bear it! Photo: Bob Carter Nature Travels. 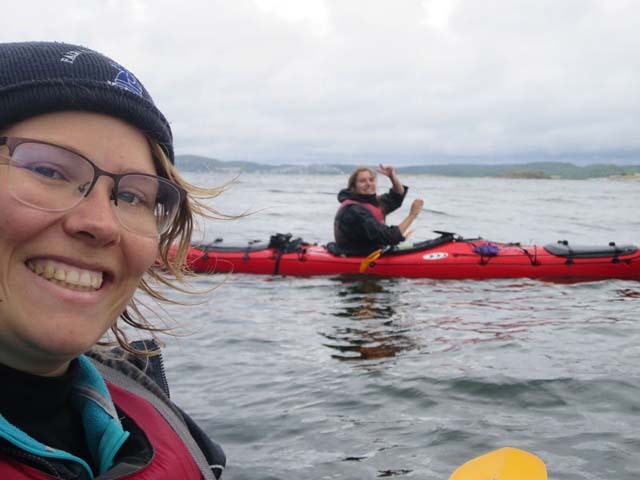 If you’re off for a paddle on one of our canoe or kayak tours that involve wild camping, you’ll be given information on the location of any of these in the area, but if there are none around you’ll have to go in the wild, so remember to dig a hole so you can bury your solid waste. You may wish to collect any paper, etc, in a plastic bag (e.g. nappy sack or similar) in the same way as with any other litter waste from the trip. Snowmobile overalls were perhaps not designed with the female traveller in mind! Photo: Flo Smith. For tours where you’re staying in cabins in the wild, such as a dogsled tour or hike, these wilderness toilets will also be found at the location where you’ll be spending the night. During the day, you will not pass any “proper” toilets, and will need to go outside when convenient. During our dogsled tours, you’ll probably be wearing a one-piece snowmobile suit, which isn’t as convenient for us ladies and takes a little coordination, but it’s all part of outdoor fun. What if I get my period on tour? Even if you think that your period won’t be due during your trip, we would always recommend that you are prepared and take your usual feminine hygiene products (tampons, etc) with you as well as wet wipes and nappy sacks (or similar). If you suffer from cramps, it’s always useful to have some pain killers in your medical kit (which are handy anyway), just in case they take you by surprise. 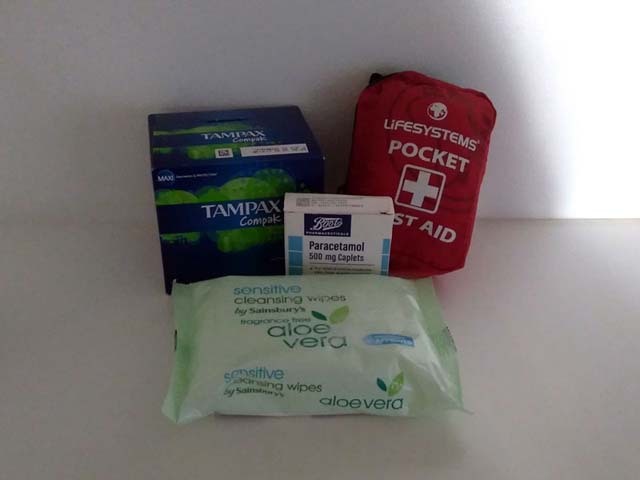 There are many things which can disrupt your normal cycle such as change of diet, stresses of travelling, etc, and once out in the wilderness there won’t be anywhere to buy tampons should you need them. Bring the supplies you need with you. Photo: Niki Bates Nature Travels. If you take the pill, you may want to arrange it so you are taking your pill during the tour to try and avoid having your period during your trip (though note of course the pill may not always guarantee you don’t have a period, especially if taking two months’ worth back to back). When out in the wilderness you will need to take all of your non-biodegradable rubbish with you, including any used feminine hygiene products. We would recommend taking some nappy sacks with you to put your used items in. Take any wet wipes away with you and bin them when you are at the end of your trip and are back in civilisation. Do not bury these items as they are not usually biodegradable. Bring it back to base or put it in an appropriate bin. Photo: Jayne Dent Nature Travels. Are there any female-only tour options? Our Go Dog Sledding in Trøndelag offers a number of female-only dates. But you don’t need to choose a female-only tour – all our tours are suitable for female travellers! Enjoying a hike in northern Sweden. Photo: Sheilagh Guthrie. Be prepared! You know your body and if you’re prone to thrush or similar problems then take your usual medication in a small medical kit. If you have any more questions, we’re always happy to help!